The story, with the abundant portrayal of human vices, has a way of communicating the true essence of our existence. It demonstrates the power love exhibits, while showing the weakness hate contains. The color purple has an energy. An energy difficult to explain…it is better if your own eyes drift about and analyze the inherent energy upon the screen and see Celie (Whoopi Goldberg) swing amiss the sunflowers and her sister, Nettie (Akosua Busia), hum the melody of…THE COLOR PURPLE. If you would like to submit a review feel free to do so through the contact me page and it just might be the next featured review. Also, be sure to tell me what you think of this review in the comments section below. 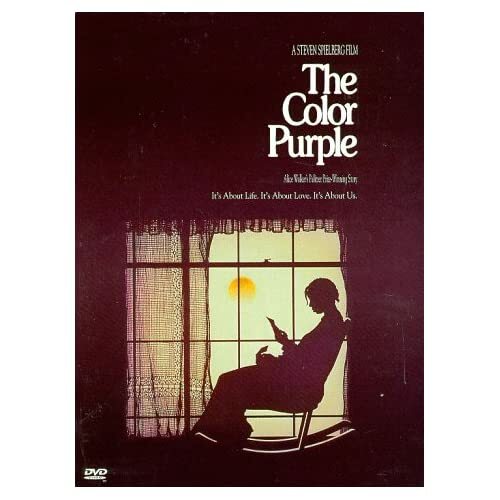 The Color Purple is currently available at a good price from Amazon.com in DVD Format and DVD Two-Disk Special Edition.